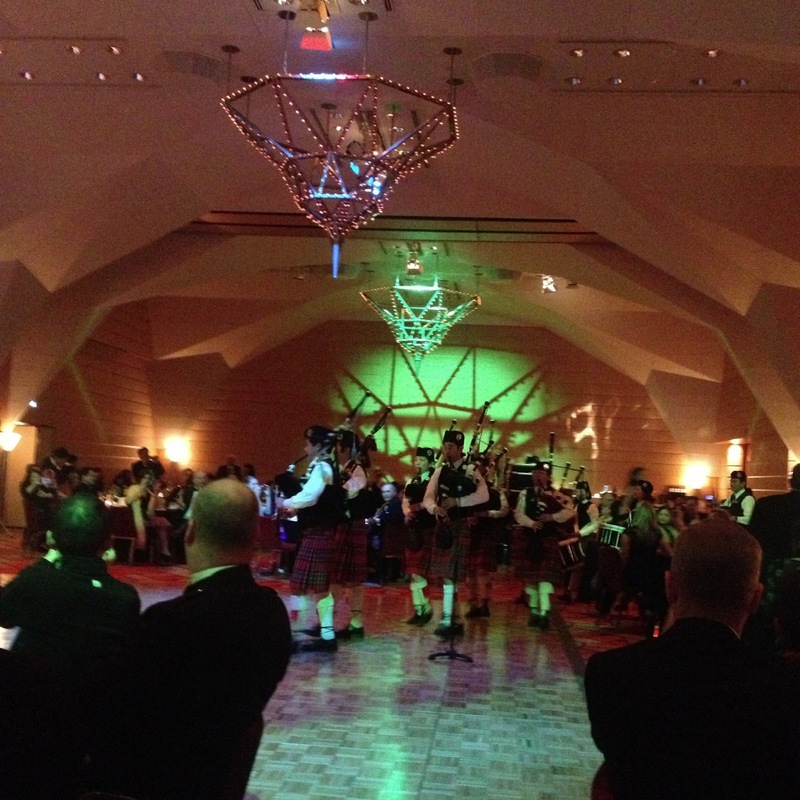 Last Saturday we put our glad rags on and headed out to the Tokyo American Club to celebrate Burns night. 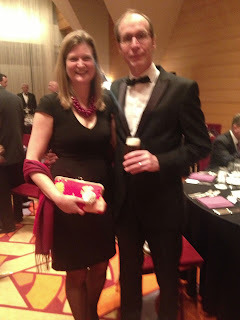 We're not Scottish and the event was a few weeks late, but we had a fab night, swigging whiskey and Stripping the Willow (a Scottish dance, in case you wondered.....). 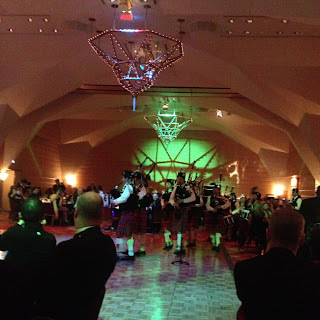 As ever, the bagpipe band was spot on, and the fiddlers did an amazing job as we swung the night away! The happy couple - note the Cheeky Leopard bag! 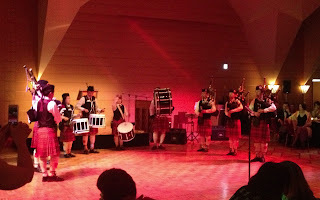 A rousing Scottish bagpipe band - note that they are all Japanese!